be quiet! 's Dark Rock Pro 2 is one of our favourite CPU coolers for obvious reasons; it performs very well, it keeps ultra-quiet and it looks fantastic, too. But it isn't for everyone. The £60 price tag can be off-putting, and the cooler's sheer size can be a cause for concern if you're building into anything smaller than a mid-tower chassis. Wanting to meet the needs of as many consumers as possible, be quiet! 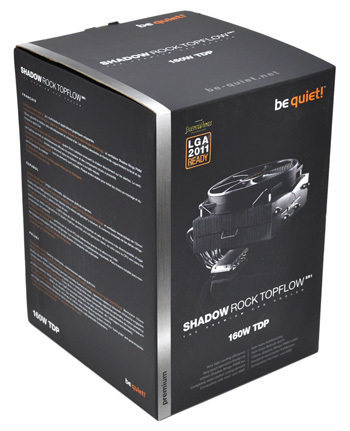 is attempting to bring its popular recipe of good cooling plus low noise to smaller form factors with the Shadow Rock TopFlow. As the name suggests, this one provides top-down cooling for your CPU and, thanks to a relatively-low height of 126mm, it's suitable for a desktop or small(ish)-form-factor chassis. 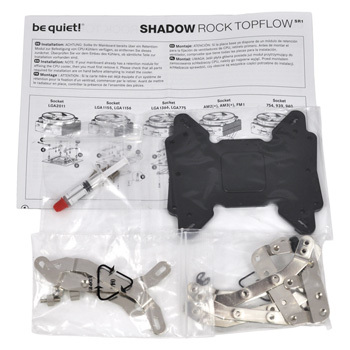 Irrespective of the change in orientation, the Shadow Rock TopFlow is still designed to fulfil be quiet! 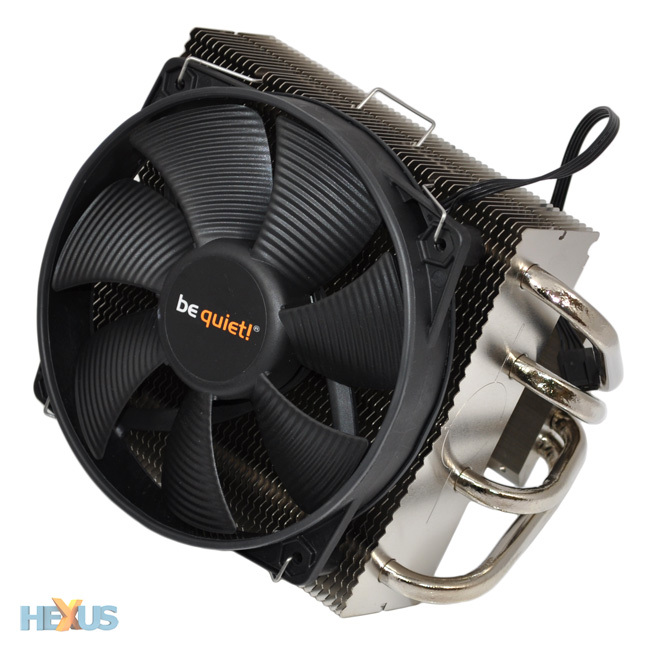 's two primary objectives; high cooling performance and very quiet operation. Plenty of promise, then, and be quiet! has done its best to make the cooler appear attractive. The sub-£40 price tag (£37 exactly at the time of writing) should be within budget for a high-performance build, and the company's packaging continues to stand out. Tarting-up a product as simple as a CPU cooler isn't easy, but be quiet! 's dark boxes do provide an element of cool. More importantly, the packaging feels secure, with the cooler firmly sandwiched between foam and all the accessories tidily bundled in a box of their own. Pull out the cooler and all of its gubbins and you immediately get the sense that this is a quality product. Despite being one of be quiet! 's smaller efforts, the Shadow Rock TopFlow still measures a considerable 171mm x 137mm x 126mm in size and it weighs a reassuring 650g. The heatsink-and-fan combo certainly has some meat to it, but it's the top-down orientation that makes the cooler better suited to certain chassis. Putting the dimensions into perspective, the Shadow Rock TopFlow (with fan) is a good 40mm shorter than the top-of-the-line Dark Rock Pro 2. But the trade-off between size and performance can be substantial, and be quiet! evidently isn't ready to go ultra-compact just yet; if it's small and low-profile you're after, Noctua's NH-L12 is a further 33mm shorter in height despite accommodating two fans. This may be one of be quiet! 's smaller efforts, but the Shadow Rock TopFlow is still a chunky unit, so be certain to measure up accordingly prior to biting the bullet. If the size is right, however, you needn't worry about socket support. All the required fittings for the latest Intel and AMD sockets are included as standard, along with a universal backplate and a small tube of Dow Corning thermal paste that's good for a couple of installations.